'The Roaring Twenties' refers to the period post WWI and the events that occured during 1920's in North America and other parts of Europe. Recession hit America is not able to find jobs for the war veterans who return from Europe. Eddie Bartlett, George Hally and Llyod Hart meet and become friends towards the end of the war. Jean Sherman played by Priscilla Lane becomes a big fan of Eddie Bartlett for his heroics at war and sends him her photograph and letters during his stay in Europe. Upon return to America, they find jobs hard to secure. Llyod Hart goes to practice law. 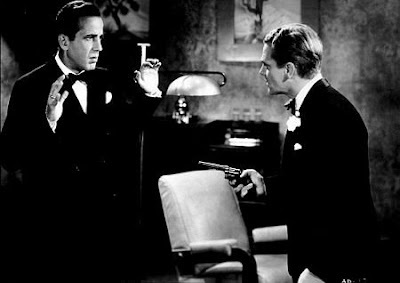 George Hally played by Humphrey Bogart enters into bootlegging. The same would be the path for Eddie Bartlett who becomes one of the members to have a bootleg business. American prohibition law at that time, prevented manufacture, selling, import and export of liquor. So this was taken as a opportunity to trade liquor illegally. He builds a fleet of cabs through the sale of bootleg liquors and hires Llyod Hart as his lawyer. 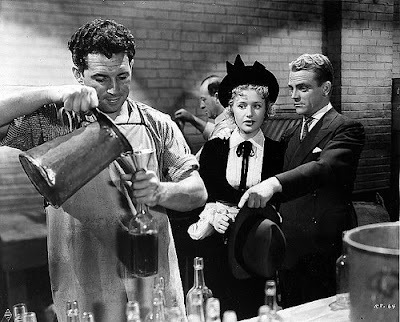 Eddie helps Jean Sherman to get a job in a speakeasy run by Panama Smith. Eddie is in love with Jean, and she is under obligation because of all the favours done to him. A further development when George becomes the partner and set about killing the rival gang in order to regain supremacy. Love debacle when it becomes clear that Jean Sherman and Llyod Hart are in love, his breakout with George and subsequent fall of sharemarket doesnt go well with Eddie. He spends some time in prison for his activities. Eddie starts afresh by driving a cab, meets Jean Sherman after few years. Llyod Hart happily married with Jean Sherman have a home, a kid and a good position at work. His life is under threat by George since Llyod is out to enforce certain legal laws that would ruin his business. Final part is one of the defining moments when Jean Sherman asks a favour to Eddie in order to save her family. Eddie and George having a confrontation resulting in gun shots and both being dead. The character of Eddie Bartlett is inspired from the life and career of bootlegger Larry Fay. This movie also turned out to be one of the last action films James Cagney featured in before he set out to venture into other character roles. 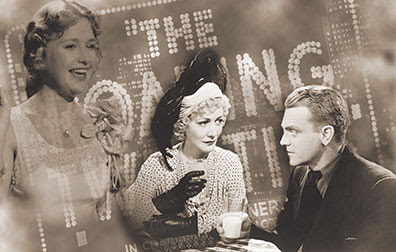 Released in 1939, The Roaring Twenties was directed by Raoul Walsh. Look out for scenes where Humphrey Bogart and James Cagney share the space. Its a viewer's delight.